Upon graduation from the University of California at San Francisco, Dr. Yee was appointed on its faculty. At the same time, he began his private practice on Union Square in San Francisco. Over his 25 years in practice, Dr. Yee has developed a well-respected and very successful practice with emphasis on cosmetic and restorative care. Dr. Yee keeps current with the ever changing profession by attending numerous courses in continuing education with an emphasis on techniques and materials in cosmetic dentistry. The Consumers Research Council of America selected Dr. Yee as one of America's Top Dentists each year from 2008 to 2015. 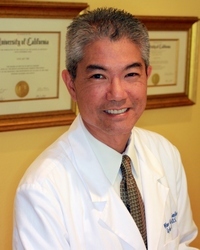 San Francisco television station KRON-TV nominated Dr. Yee for a highlighted feature on "The Best of the Bay." Dr. Yee is a member of the American Dental Association, the California Dental Association, the Redwood Empire Dental Society, and the Rohnert Park Chamber of Commerce.